Rikard & Neal CPAs, PLLC, a Memphis Metropolitan area CPA firm, is a full-service accounting firm that caters to Memphis area businesses such as Bartlett, Germantown, Collierville, Lakeland, Millington, Covington, in Tennessee and West Mephis and Marion in Arkansas. We understand that it's difficult to make confident decisions without reliable financial information. 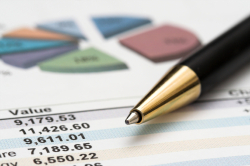 While you focus on turning your vision into reality, we'll work to make the accounting function easy and ensure that your financial records are maintained correctly and accurately. Our clients get personalized and responsive service from dedicated accounting professionals who will help you manage your business and keep your finances on track. We want you to feel confident that your accounting system accurately reflects your current situation so you can concentrate on running your business instead of trying to stay on top of your books. Visit our outsourced accounting website to learn more. Send us an e-mail or call us today at 901-685-9411 . Or, request a free consultation to discuss your business needs with an experienced CPA.